Every year, dozens of volunteers visit and review the programs funded by the United Way of Northwest Louisiana. 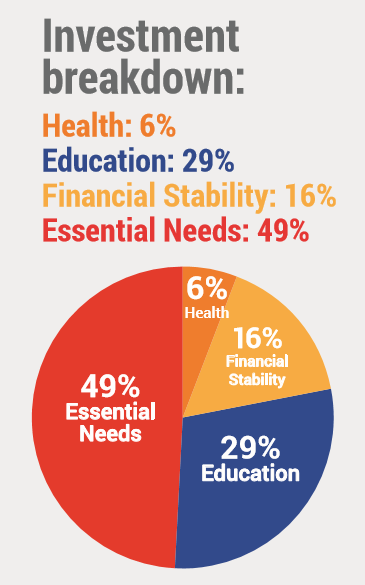 Accountability is a terrific advantage of giving through United Way. We ensure your dollars stretch as far as possible to provide help in the most efficient manner possible. Ninety-nine cents of every dollar stays in Northwest Louisiana. Effectiveness requires that we work with nonprofits to communicate the results of our funded programs. 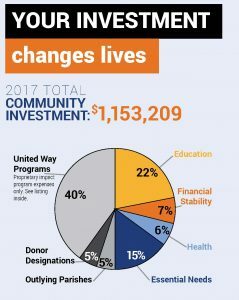 United Way of Northwest Louisiana is committed to responsible stewardship and diligence in keeping our administrative and fundraising costs well below the national standard for nonprofits. Our partner agencies receiving grant funding are held to the same high standard and are reviewed annually.